When the Bears compete in the Georgia Fall Invitational this weekend, bittersweet memories from the previous season will almost certainly come to mind. 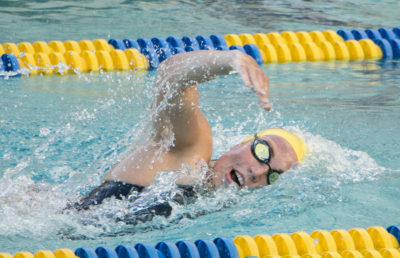 The Cal women’s swim and dive team placed third in the 2016 NCAA Championships, falling just short to Georgia, the eventual champs. But a new season is now upon us, and the No. 10 Bears are back in competition against the Bulldogs and a plethora of top teams. In addition to No. 2 Georgia, the competition will feature the likes of No. 4 Michigan, No. 5 Virginia, No. 11 Auburn, No. 22 UCLA, Florida State and Harvard. The format of the meet will consist of swimmers trying to place as many automatic or provisional qualifying times as possible. The standards will then be used to determine the field for the NCAA Championships in March. Divers will similarly attempt to qualify for the NCAA Zone C Diving Championships. Cal’s dive team last competed in the Texas Diving Invitational from Nov. 17 to 19. Phoebe Lamay impressed with a second-place finish in the 1-meter championship and a third-place finish in the 3-meter championship. Meanwhile, the Cal women’s swim team has not competed since Nov. 11, when it lost 148-152 in a tight dual meet at home to then-No. 4 Texas. 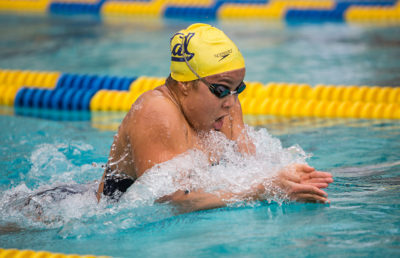 In that contest, the Bears broke two pool records at Spieker Aquatics Complex. The team of Amy Bilquist, Maddie Murphy, Abbey Weitzeil and Farida Osman placed a time of 3:15.82 in the 400-yard free relay, while Weitzeil easily won the 50-yard free in 22.09. Still, even with the break, the Bears have been hard at work getting into shape for their final competition before finals and winter break. Georgia, the reigning champ, is undefeated thus far this season. When swimming at home, the Lady Bulldogs have won 102 consecutive dual or tri meets dating all the way back to 1995. Megan Kingsley leads the way for the Bulldogs, currently ranked third nationally in the 200-yard butterfly, while Stephanie Peters ranks ninth in the 1000-yard freestyle. 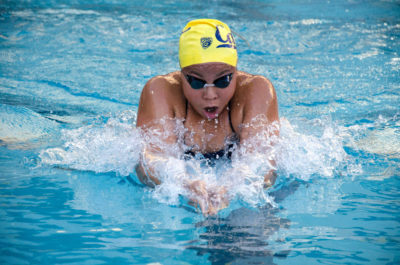 Meanwhile, Michigan will be without three of its top swimmers — Clara Smiddy, Jamie Yeung and Samantha Yeo — because they will be representing their respective countries in the FINA World Swimming Championships next week in Canada. The Wolverines will still have sophomore Siobhán Haughey, who currently holds the conference’s top time in the 100-yard freestyle, 200-yard freestyle and 200-yard IM. Like all top programs, Virginia also has some talented swimmers. 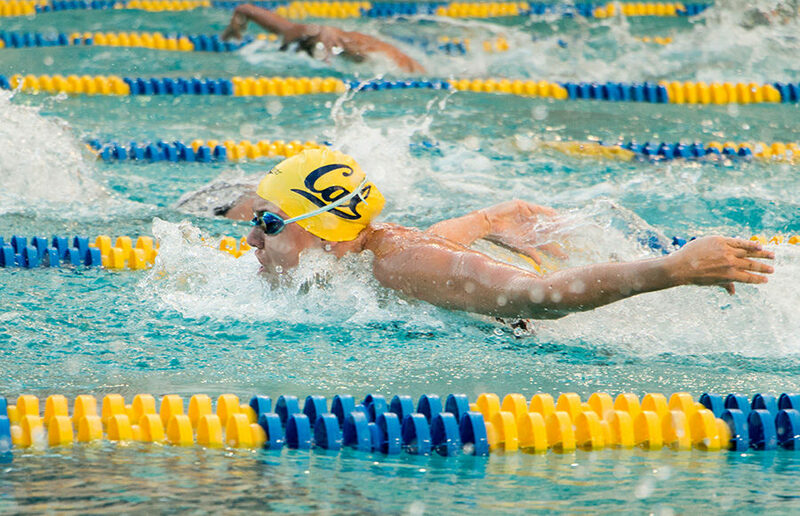 In the 200-yard butterfly, junior Jennifer Marrkand is currently No. 6 in the country, while senior Kaitlyn Jones is No. 20. Senior Laura Simon is ranked No. 13 in the 100-yard breaststroke. UCLA will be traveling up from Texas, where it will compete in the Georgia Invitational immediately after the Texas Invitational. The Bruins have had a solid season thus far as owners of a 7-1 dual meet record as well as winners of the A3 Performance Invitational. With so many top teams and swimmers, the invitational will almost certainly simulate a competitive environment akin to the Pac-12 Championships and the NCAA Championships. The invitational should be an exciting preview of what’s to come.